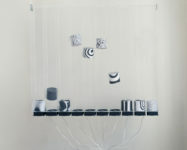 An interactive installation made up of ten cylinders each containing a paper object with a unique abstract, computer-generated design derived from natural textures (e.g. wood or stone). 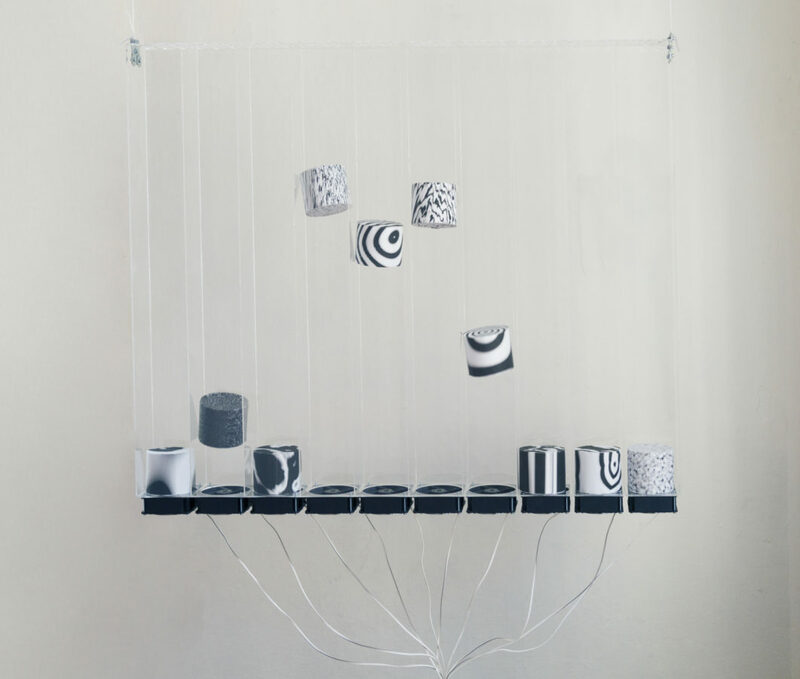 Through its interaction with the viewer, the piece attempts to create an energy flow directly translating the noise from its environment into air propelling the paper objects up and down through the tubes.